For years and years now, Femaledwarf.com has been a staple of the hunter community: providing hunter specific dps simulations and analysis. And today, as a special treat for all of my favorite readers, I've got the woman behind the curtain, the brains of the operation, everyone's favorite theorycrafter: Zeherah. Delirium: First of all, new Female Dwarf models; as one of the biggest proponents of the Female Dwarf (.com), what do you think about the new models? Zeherah: "I’m probably not the best person to judge- I tend to play fairly zoomed out and I rarely even notice the details. They look ok to me. To me the most important thing is that they keep the braid spinning. Delirium: I see you’re getting fairly close to Heroic Garry; any favorite fights this tier? Or least favorite? Zeherah: "I’d say my least favorite so far is heroic Thok. It may be partly because it’s the most recent one we've learned and we’re still pretty bad at it, but it just feels like his mechanics are pretty arbitrary and buggy. We haven’t tried heroic Siegecrafter seriously though and I am not looking forward to that one, primarily because I have motion sickness issues with the pipe and am not super coordinated at disengaging and I’m going to have to be doing belt stuff. "In terms of most favorite, I’m not really sure. There are favorite bits I have for a lot of fights. Heroic Iron Juggernaut feels like a dance and I get to focus on trying to really maximize my dps without a lot of distractions. But most of the time when stuff goes wrong it’s not something I could really have helped with so that’s not fun. Heroic Protectors is probably the fight I have the most fun doing, since there aren't any terribly obnoxious mechanics but there’s enough to it that I don’t feel like I’m just falling asleep at the wheel. We’re learning heroic Paragons now which so far has been pretty interesting." Delirium: How about this xpac? Zeherah: "Hmm, it’s been awhile but Elegon was pretty cool. I also kind of liked Megaera. I hated heroic Horridon. I've never been a huge fan of fights with swarms of adds." Delirium: Any chance you scored the mount while running Elegon? Zeherah: "No such luck. It did drop for our group one time at one of the few raids I missed. I appear to be bad luck for mount drops." Delirium: Regarding your website, I think most people have heard that you created it as a web app from a popular hunter spreadsheet. But maintaining it for this long must have taken some considerable passion. Are you really excited about spreadsheets and mathematical modeling in general, or are you more just so dedicated to the hunter class that you learned to do the web and spreadsheet part of it so you could be a better hunter? Zeherah: "I’m definitely not all that into the whole mathematical modeling thing and that’s not what drew me into it (although my dad was a statistics professor, he’d probably be proud). Keeping it going has primarily been about having a useful tool for myself personally and supporting the hunter community." Delirium: I’ve spent some time looking at the Survival 4-piece set bonus for this tier, and have to say it’s more complicated to statistically model than I would have imagined (or perhaps I’m just missing something); especially given how simple it is to program. Are there any abilities like that where you’ve had to come up with a creative way of modeling or averaging? Zeherah: "Yes, it’s very difficult to come up with good ways to handle random procs which affect shot selection. Supporting Lock and Load in general with the internal cooldown was challenging as well. Sometimes I’ll write small simulations to try to figure out what sort of behavior is likely based on a lot of iterations, just so I can figure out if I’m on the right track when I try to come up with behavior that simulates the randomness of the ability. The need to have consistent results every time the simulation is run means I can’t just rely on randomness and have to find good ways to work around it. It does create problems with the accuracy of results in some cases and it can be very frustrating trying to find good solutions." Delirium: About random procs, other than LnL, I’m assuming you’re talking mostly talking about the RPPM trinket design? There seems to be a lot of mixed opinions regarding the RPPM mechanics. Especially for Survival this tier, I’ve found myself quite frustrated when checking my logs and see that I actually performed better than someone else—had better up-times on my DoTs reacted quicker to LnL procs and in general got off explosive shots on CD better—but I still got beat because they got some eighteen thousand Vicious procs. What are your thoughts about RPPMs as far as game design? Would you rather we go back to having mostly ICDs and PPH / PPM? Zeherah: "The benefit and also the negative of standard ICD procs is that you can really plan almost entirely around them. This is good if you have mods to monitor when the procs are coming up and cooldowns to line them up with. But the fact that it’s hard to plan around the ICD procs without mods pushes people into feeling they need mods to play. By making things less predictable, RPPM evens the playing field a bit modwise. It still is beneficial to pay attention to when your procs are up, but you can’t always tell when they’ll be coming up. Personally I think that having gameplay which really pushes mod use heavily is a negative. "With regards to RPPM vs PPM, I think RPPM is definitely a step in the right direction as it smooths things out more and balances proc values more between specs and classes. "Any proc based mechanic comes with some amount of frustration in terms of inconsistency, but they've done a lot with RPPM to make it better over time. If it was totally predictable it wouldn't really be much of a proc, which is presumably why they've moved away from simple ICD trinkets. It’s not like inconsistencies in damage results don’t also come up due to mechanics people have to deal with and random buffs like Gift of the Titans too." 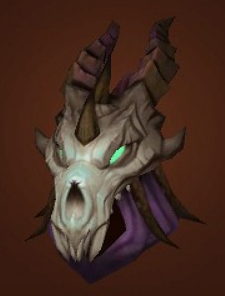 Delirium: As the Beta comes out and you start to see what hunters will really look like in Warlords, how does the process of creating the new spreadsheet go? Do you do like the theorycrafters of yore and spend hours at the target dummies with various gear and weapons to test each individual stat, etc, or will you rely more on the formulas that Blizzard has seemed much more willing to release lately? Zeherah: "I used to have to do a lot of target dummy testing, but Blizzard has gotten much better at giving us the details so that saves me a lot of time. I will likely still verify the formulas and I’ll probably have to test specific mechanics to see exactly how things work, but I hope I will be able to keep that at a minimum. "From what I’ve seen so far, a lot of the hard part will probably be adapting to the new stat mechanics, although at least removing reforging will simplify some things. One of the biggest tasks usually with any expansion is just importing all the relevant items into the system and keeping them up to date as they get tweaked. Then there’s usually some difficulty surrounding supporting new trinket procs and any specialized mechanics that require custom options or specialized simulation support." 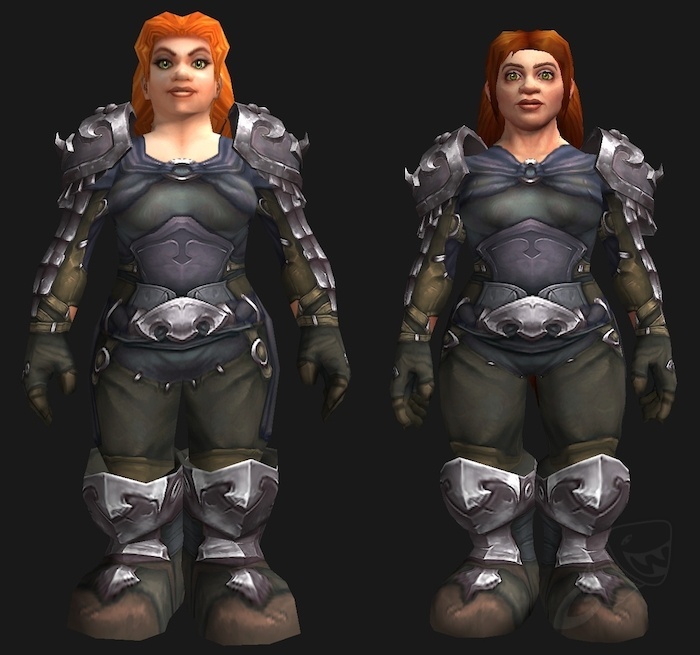 Delirium: There’s been some amounts of information coming out regarding Hunters in Warlords of Draenor, do you wait until the beta to start looking at ability changes, or have you gotten excited enough by any of the alpha notes that you’ve started a Female Darf alpha for WoD? Zeherah: "I usually wait until things are much further along. There’s so much work involved in adapting the site for an expansion that I prefer not to do too much until things are a lot more stabilized. To be honest I've been less focused on what's going on in WoD than for any other expansion, partly because the raiding changes are a big problem for me personally, and partly because my real life right now has more interesting things going on that I’ve been more focused on." Delirium: Any favorite changes Blizzard has announced yet? Or is there any place you feel like they’re going in the wrong direction? Zeherah: "I don’t know about whether the raiding changes are in the wrong direction for the game as a whole, but as someone who greatly enjoys the 10 man heroic raiding format, it’s very disappointing to me (and to many of my friends and guild members) to see it going away, and I’m having a hard time picturing what I’m going to do next expansion. "On the more positive side, I’m glad to see them finally addressing the situation of exotic pets having a monopoly on some raid buffs and cleaning up the raid buff situation further. I wish they'd done that earlier. I’m also really glad to see some cleanup on abilities-things were really getting out of hand. I’m also intrigued by the changes in itemization and I hope it produces the desired results." Delirium: That’s interesting; I switched to a 25 player team for SoO, and while there are parts I do enjoy, I find myself missing the tight-knit group: our 10 player team was close enough that we didn’t even have loot rules, just tried to act as selfless as possible. Running 25 on the other hand has just taken so much energy just for the logistics of it all. Are you more worried about missing the closeness of a smaller raid team, or is it the mechanics and personal responsibility aspect, or perhaps something else? Zeherah: It’s pretty much all of the above. Currently I run a 10 man, but it half runs itself- it’s full of good people who take responsibility for the success of the raid and are great about letting me know if something is going to prevent them from attending so I can schedule a replacement. We don’t run a bench, just rely on alts and friends as fillers, and we don’t need a loot system or any of that. I’m also a west coaster playing on an east coast server, so it’s also a lot easier to find raids that meet my schedule in smaller groups. I’ve been in the same guild for 9 years- we’ve gone through a lot of adjustments over the years but we’ve stuck together and this change is really going to be difficult for us. "My guild used to do 40s and 25 mans before Wrath, but people got burned out on coordinating groups that large, so since then we have stuck to 10s and most of us prefer it that way (the people who don’t are the ones who don’t have to manage it). We actually currently have 3 10 mans that are independently run. You can say we should just merge them, but everyone has different schedules and finding people who really want to manage a larger group is difficult. Plus in a larger group you really do need a lot of the structures that aren’t necessary in 10 mans. "I don’t even know if there’ll be a raid in my guild next expansion at a time I can make, and I don’t think I really want to raid with another guild after all these years. My life has changed a lot since the last expansion and this change is making me wonder if I even want to try continuing. I haven’t made any decisions yet though." Delirium: Finally, and I think most importantly, I have sources claiming that Azeroth’s most eligible bachelorette, Ms. 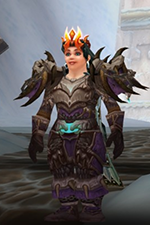 Female Dwarf herself, is back in the dating game. Any advice for the gamers out there attempting to woo a special someone? Zeherah: "I’m still figuring the whole thing out myself. I never actually dated before I met my ex-husband so it’s my first time doing it and I’m still figuring it all out. The best thing I can suggest is to not let yourself be scared by what might happen and to be yourself as much as possible, just the best version of yourself." Delirium: That’s going to wrap up our time together. Thanks so much for taking the time to talk with me, and especially for taking the time to provide the hunter community with such a valuable tool.